الخيار الأفضل للحصول على المتعة والاسترخاء, Outrigger Bay Apartments يقع في منطقة تاون سنتر في خليج بريون. يقع مركز المدينة على بعد 0.15km فقط. ويمكن الوصول إلى المطار خلال 25 دقيقة. كما يمكن الوصول بسهولة إلى Byron Bay Farmers Market, Byron Bay Cookies Retail Store, Fairy Floss. إن Outrigger Bay Apartments حريص على توفير الراحة للنزلاء، فلا يوفر الموظفون جهداً في تقديم أفضل الخدمات وضمان حسن الاستقبال. يقدم الفندق فرصة للاستمتاع بشريحة واسعة من الخدمات بما فيها: واي فاي مجاني في جميع الغرف, مطبخ, تخزين الأمتعة, واي فاي في المناطق العامة, صف السيارات . تنعكس أجواء Outrigger Bay Apartments في غرف الضيوف.إغلاق, شاي مجاني, مناشف, رف للملابس, قهوة فورية مجانية هي بعض الميزات الموجود في العديد من الغرف. يقدم الفندق مجموعة واسعة من وسائل الراحة المتنوعة، كمثل: حوض استحمام ساخن, حمام سباحة خارجي, سبا, حديقة. مهما كانت أسبابك لزيارة خليج بريون، فإن Outrigger Bay Apartments هو الخيار الأفضل لإقامة مثيرة وممتعة. يتبع هذا العقار سياسة صارمة بمنع إقامة الحفلات أو إصدار ضجيج بعد الساعة 10:00 مساءً. بعد الساعة 10 مساءً، من فضلكم تحركوا بهدوء على الدرج عند الوصول إلى شقتكم أو الخروج منها، وبعد التواجد في الشقة يرجى إغلاق الباب الزجاجيّ لعزل الضوضاء. أي اضطراب يتطلب حضور المدير خلال تلك الساعات قد يتكبد رسومًا بقيمة 100 دولار أسترالي. 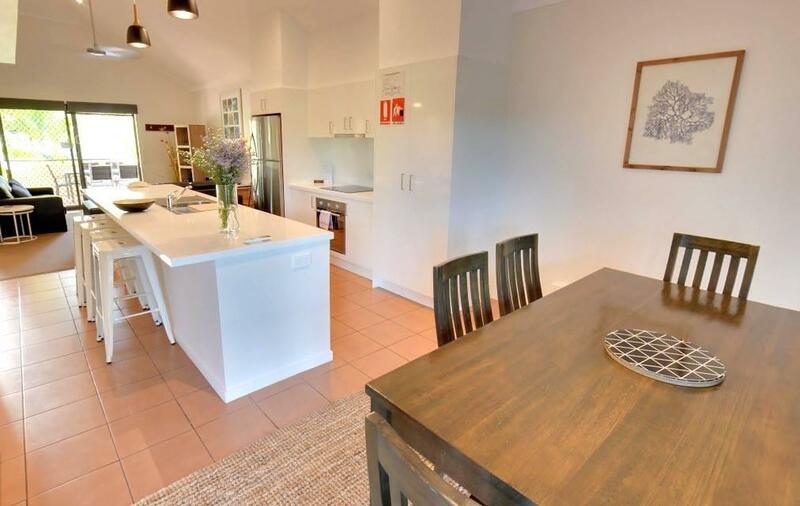 Everything was great the apartment was clean & generous in size & fantastic location to beach & Byron centre . It would be nice to have some tissues & paper towels/napkins supplied in the apartment. Hi Megan, Thank you for your review. We are so pleased you enjoyed your stay! Thank you for the tip of paper towels/napkins. We usually do have a roll of paper towels in the kitchen, however this might have been missed by our staff while preparing your apartment, so our apologies for that. We hope you can stay again sometime. Kind regards, The Outrigger Bay Team. Owners were lovely. Huge apartments and comfy beds. Hi Rachelle, Thank you for the kind words. 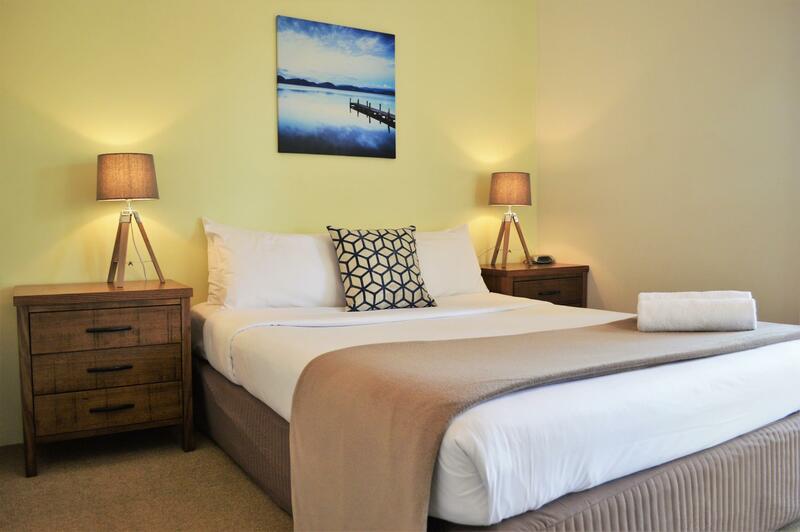 We hope you can stay again when you next visit Byron Bay. Regards, The Outrigger Bay Team. 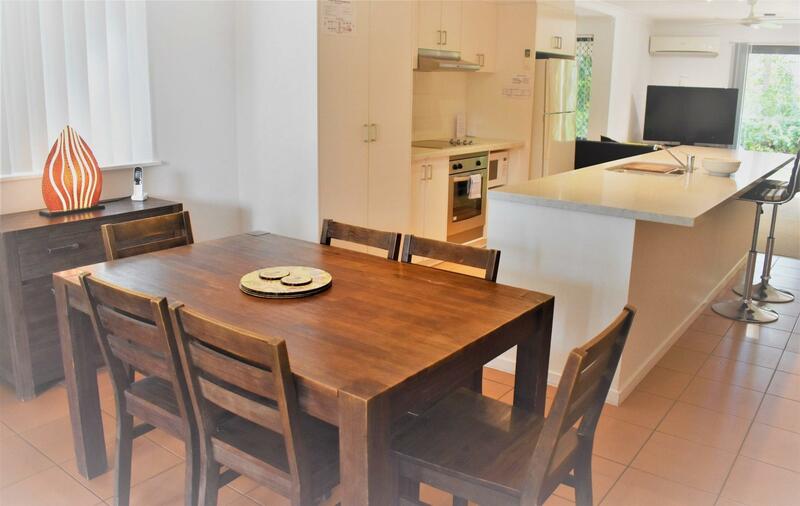 The Outrigger Byron Bay apartments are in a great locations, staff are friendly and happy to assist in what ever you ask. A great family holiday and when we return we will stay at the Outrigger again. Hi Mathew, Thank you for the 10/10 rating! It was a pleasure having you stay. WE look forward to having you stay again some time. Regards, The Outrigger Bay Team. We stayed here for 2 nights but wished we had longer. The 3 bedroom apartment was amazing! It had everything you could want. Able to walk everywhere so it was great to be able to leave the car safely parked at our accomodation. I visit Byron Bay quite often and have never stayed here before but will definitely be coming back next time. The managers were very helpful and friendly. Just loved this place and will be recommending it to my friends. This apartment was HUGE and gorgeous, with access to the beach right from the rear of our apartment, and access to the pool from the front of our apartment. It was in the perfect location, we did not need to hire a car, and walked everywhere. The center of town was less than a 5 minute walk. The kids loved the pool, there was plenty of toys to borrow for the beach and the pool, and management were so helpful and provided a high chair, cot and even pram for us to use during our stay. Will definitely be returning to this place. The perfect location, especially when travelling with kids, 2 seconds to the spa and pool, 2 minutes to the beach and 5 (kid paced) minutes to town and FOOD! Our apartment was modern and clean and a great layout for us with 2 kids. Definitely would stay again! Very clean, well appointed kitchen with a very large living space. Jan and Dave were extremely helpful. Loved the location which was so easy for us as 3 adults to do our own thing or together. Spacious apartments, clean and tidy, very friendly and helpful stuff, a heatet pool, perfect location, just a few minutes to town and a few meters to the beach (on foot) - we had a wonderful stay!! we arrived after check in and the staff had texted to tell us how to get the keys and park the car so It was all very easy. nice spacious and well equipped apartment. 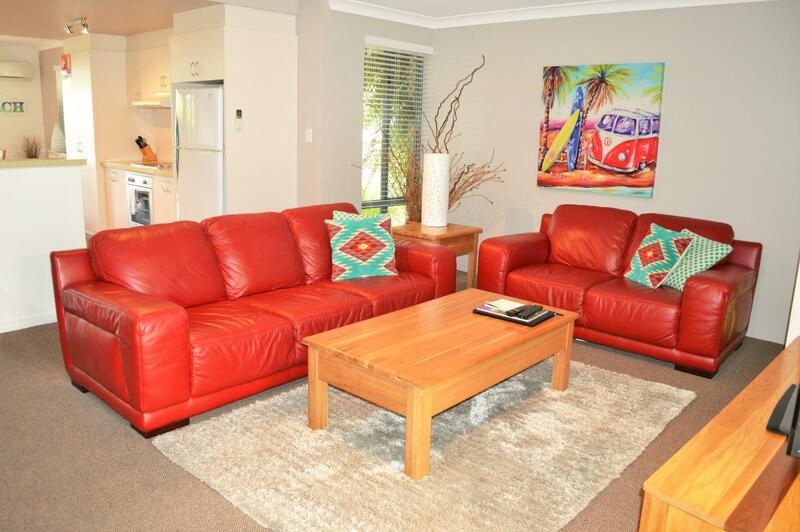 very close to the beach and easy walk to town centre and market. the swimming pool and spa area was a nice and relaxing spot. plus there is a fantastic bbq. The apartments were sizable and well appointed. we were only there for 2 days but would have been comfortable for a much longer period. A great location with direct access to the beach and only a few minutes walk to town (without being in the direct hustle and bustle). I would definitely stay there again if in the area. Clean and fully equipped apartment. Walkable to beach and to centre, many restaurants/shops close by. Friendly staff. Pool a little hemmed in/overlooked, but that wasn't a priority for us, plus beach 2 mins walk away anyway. We have 4 young children and not once felt like we were not welcome. Pool ,spa and beach kept the kids happy. Thanks to Jan and David for the use of the beach toys, dvds and books to help travelling easy. We will definitely be back. Thank you so much Belinda, for your positive feedback. We are so pleased that you enjoyed your stay. It was such a pleasure having your family stay at Outrigger Bay Apartments and we look forward to seeing you all again. Warm regards, Jan, David and the Outrigger Bay team. Location was great - short stroll to everything. Thank you very much for the excellent stay. The outrigger is in the best location that means you can leave your car and walk. We enjoyed out large apartment that had everything we needed. There was also a great shared BBQ, spa and pool we used. The hosts were really nice even lending my Dad some books. Thanks again! I loved my stay at the Outrigger! The staff was friendly and helpful. The apartment was clean and the kitchen was well equipped. I appreciated the on-sight parking, in-house washer and dryer, beach access, and short walk to town. I'd gladly stay there again! Spacious, comfortable apartment. Direct access to beach. really enjoyed our stay. big 2 bedroom apartment in a really good location. direct access to quiter beach (next to main beach). took 2 minutes to walk into centre of town. friendly staff, nice relaxed atmosphere. would definitely stay there again.